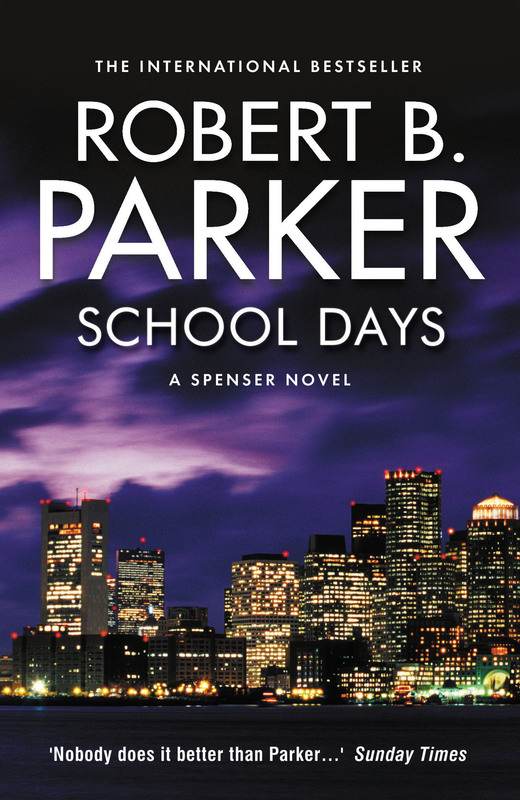 At this stage, I’ve read so many of Robert B. Parker’s Spenser novels, but at the same time, not nearly enough. Whenever I read one of these hard-boiled mysteries I’m astonished as to why Parker didn’t make more of a name for himself outside of the United States. He deserves his comparisons to Chandler, and Spenser is unquestionably worthy of a place in fiction’s ‘Top 10 Private Investigators of All Time.’ School Days is further validation of these plaudits. When two students in ski-masks execute half-a-dozen people at the prestigious Dowling Academy, it doesn’t take long for the authorities to apprehend the perpetrators: Wendell Grant and Jared Clark. Lily Clark, Jared’s grandmother, isn’t convinced he’s guilty, so she turns to Spenser to dig a little deeper. He accepts the job, because like any good PI, Spenser’s never one to turn down the work. But Spenser’s enquiries simply substantiate the Boston PD’s verdict – Jared is guilty. Heck, he’s even admitted to it. Because there is more to the shooting than meets the eye. Why are school officials so determined to shut down Spenser’s investigation? Where exactly did Grant and Clark get their guns from? And what was the inspiration behind the attack? Robert B. Parker navigates Spenser’s investigation with veteran class. The simplicity of the storytelling should be applauded, not admonished: there is something cathartic about a classic PI tale, freed from linger plot threads and “sequel-itis” that burdens so many contemporary crime novels. Spenser’s equipped with the traditional tough-guy attitude, and exudes plenty of wit. Most of the novel is comprised of dialogue – but it crackles on the page, and makes them turn quickly. Parker was the master at the pared down mystery. School Days is a cracking PI novel, and celebrates the candour of the hard-boiled genre. Nobody did it better than Robert B. Parker, and thankfully he had such a prolonged career; it’ll be a long time before I’ve read his entire library.